Home > NCAA FB > Hey Sooner Fans, 9 Days Until Kickoff!!!! 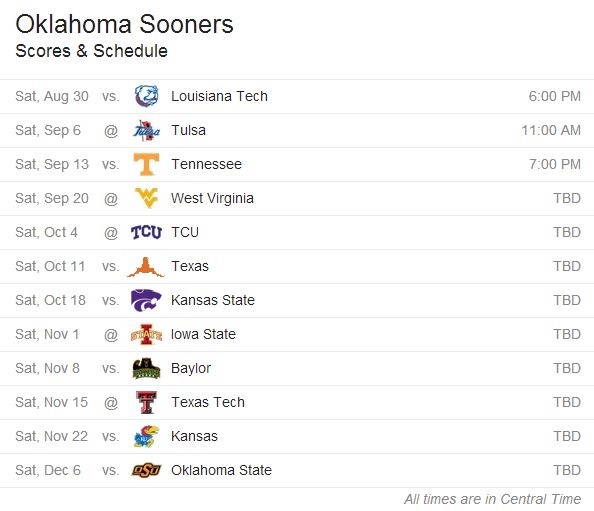 Hey Sooner Fans, 9 Days Until Kickoff!!!! Be sure to share the schedule with you friends!